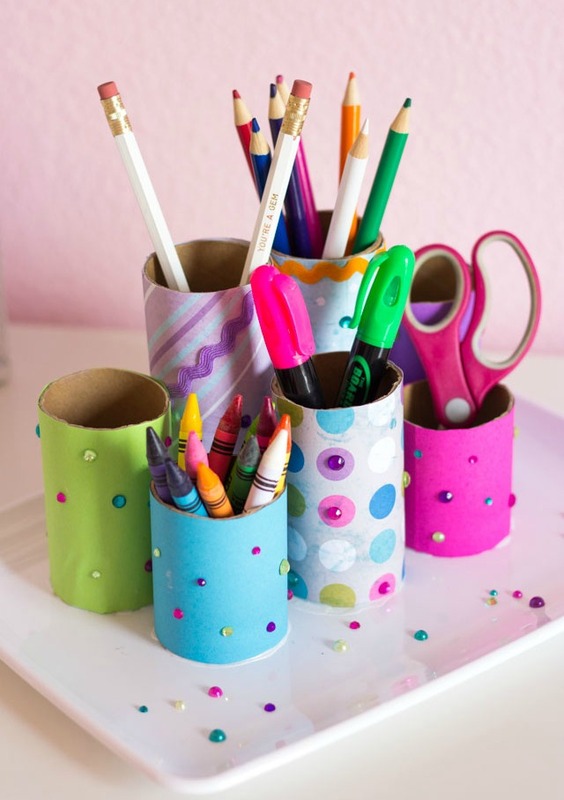 Who knew toilet paper rolls could look so good? 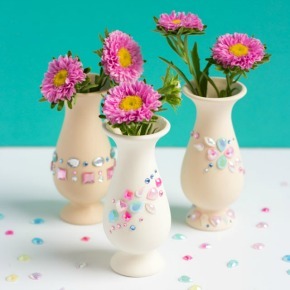 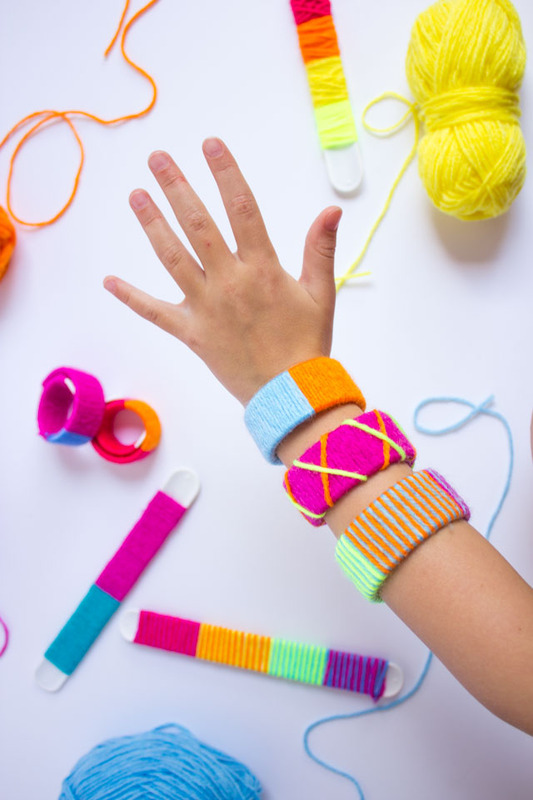 We’re upcycling for Day 3 of Kids Craft Week! 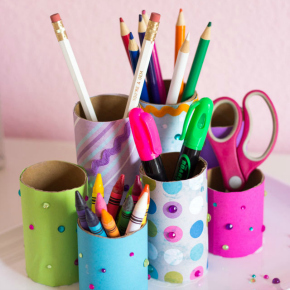 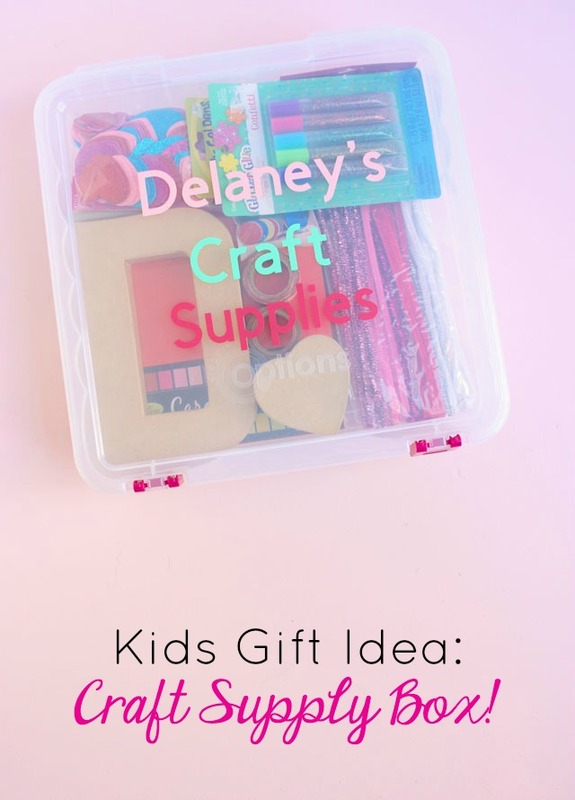 These colorful desktop organizers use cardboard rolls cut to different sizes to contain pencils, crayons, scissors, and other must-have kids supplies. 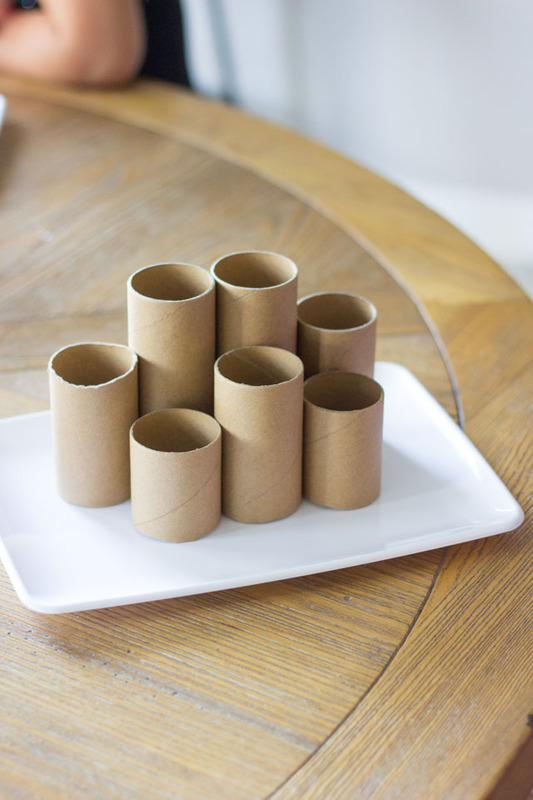 You can save your paper towel and toilet paper rolls, or buy these sturdy craft paper rolls. 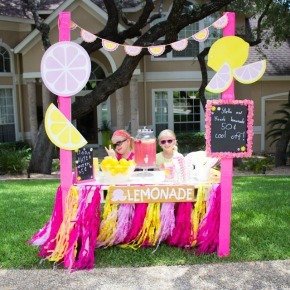 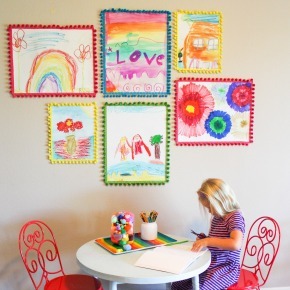 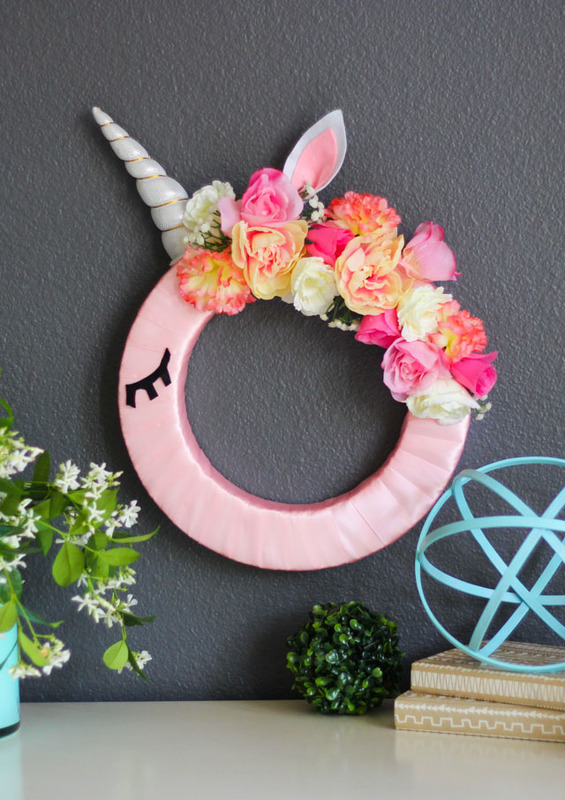 This recent project for Oriental Trading’s blog is such a fun craft for kids to make to decorate their room. 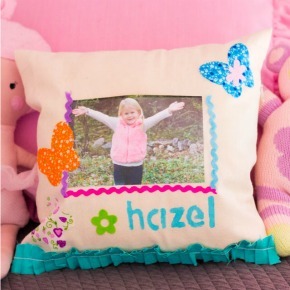 Read on to see how Stella and Hazel made theirs! 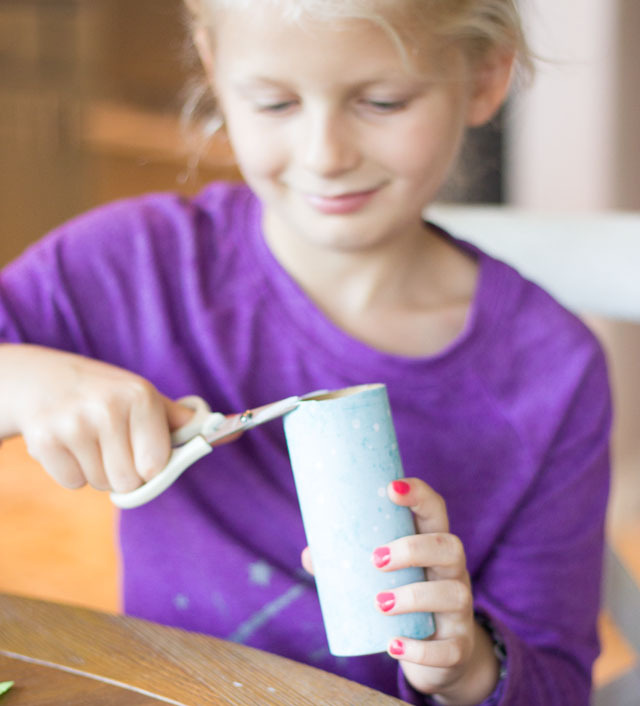 We started by cutting craft rolls into a variety of sizes. 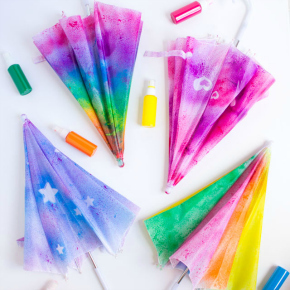 This is a job for an adult to do with a craft knife. 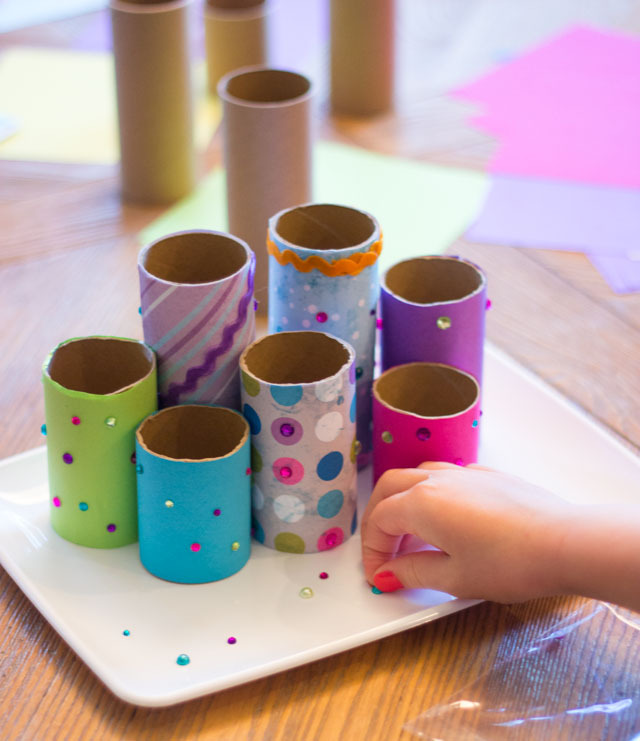 The girls had fun wrapping each craft paper roll with colorful paper. 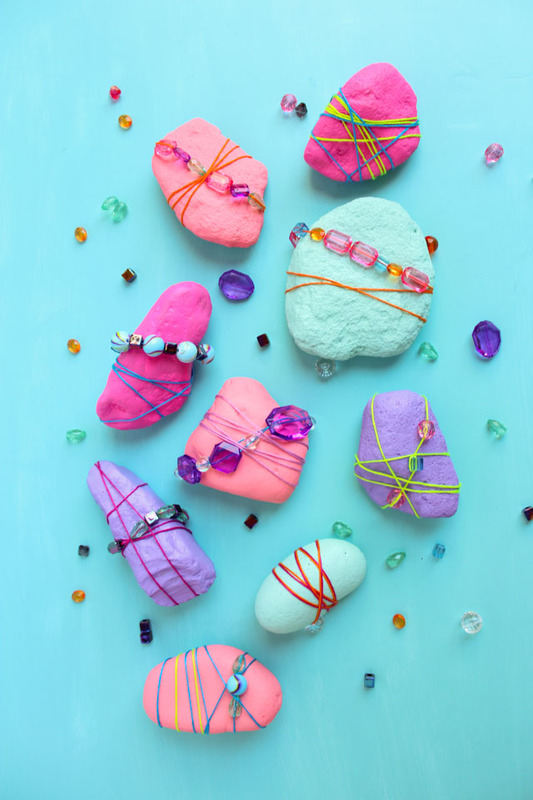 We found that origami paper was the perfect width to wrap around the rolls. 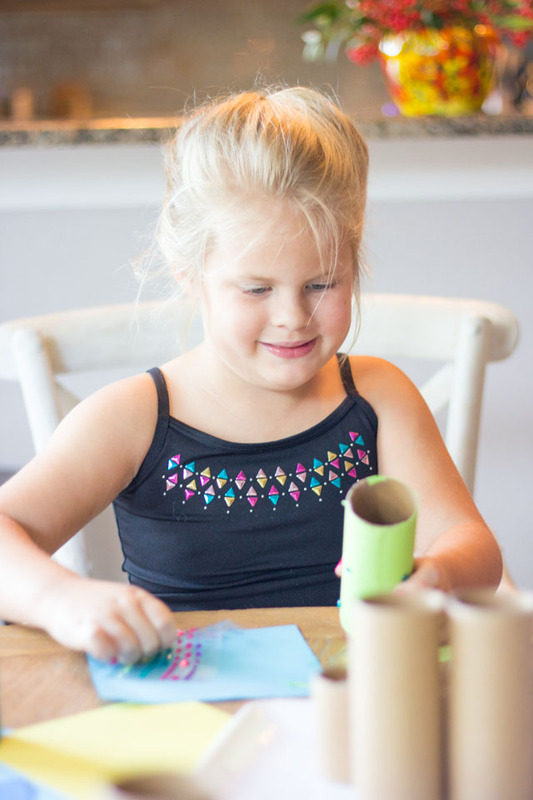 We used a permanent craft glue to adhere the rolls to a tray and then decorated them with mini rhinestones and rick rack. 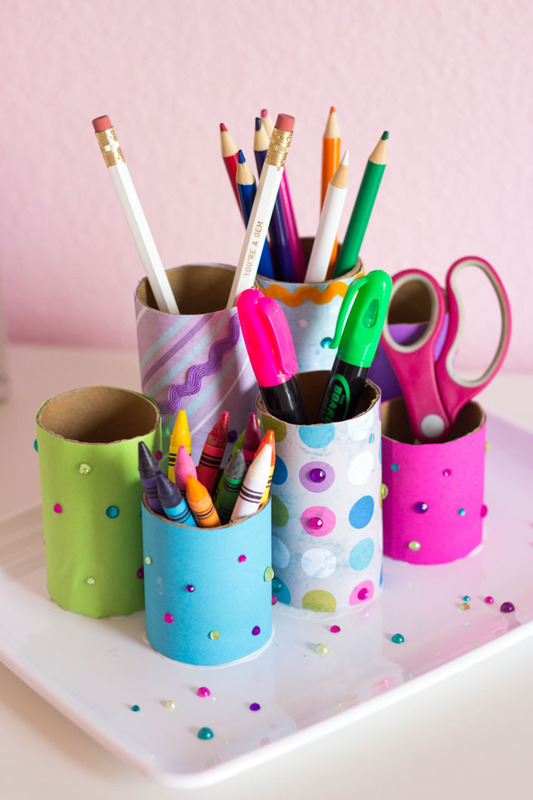 Head to Oriental Trading’s blog for a full list of supplies and the step-by-step desk organizer tutorial!